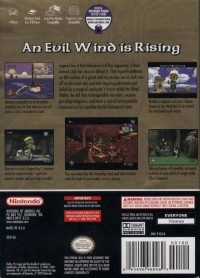 Box Text: An Evil Wind is Rising. Legend has it that whenever evil has appeared, a hero named Link has risen to defeat it. That legend continues on the surface of a great and mysterious sea as Link sets off on his most epic and awe-inspiring adventure yet. Aided by a magical conductor's baton called the Wind Waker, he will face unimaginable monsters, explore puzzling dungeons, and meet a cast of unforgettable characters as he searches for his kidnapped sister. Immerse yourself in a world unlike anything you've ever seen as you sail across a cast, unexplored ocean. Connect to a pal's Game Boy Advance and play cooperatively-get hints, uncover secrets, and get help in battle! Master a magical conductor's baton known as the Wind Waker to control the wind and much more. 08-10-2014 critter7405 Box Text An Evil Wind is Rising. Legend has it that whenever evil has appeared, a hero named Link has risen to defeat it. That legend continues on the surface of a great and mysterious sea as Link sets off on his most epic and awe-inspiring adventure yet. Aided by a magical conductor's baton called the Wind Waker, he will face unimaginable monsters, explore puzzling dungeons, and meet a cast of unforgettable characters as he searches for his kidnapped sister. Immerse yourself in a world unlike anything you've ever seen as you sail across a cast, unexplored ocean. Connect to a pal's Game Boy Advance and play cooperatively-get hints, uncover secrets, and get help in battle! Use new items like the Grappling Hook and Deku Leaf to take the fight to spectacular, massive bosses. Take on hordes of incredibly animated enemies as you search through riddle-filled dungeons. Master a magical conductor's baton known as the Wind Waker to control the wind and much more. 10-08-2012 pacpix Box Text An Evil Wind is Rising. Legend has it that whenever evil has appeared, a hero named Link has risen to defeat it. That legend continues on the surface of a great and mysterious sea as Link sets off on his most epic and awe-inspiring adventure yet. Aided by a magical conductor's baton called the Wind Waker, he will face unimaginable monsters, explore puzzling dungeons, and meet a cast of unforgettable characters as he searches for his kidnapped sister. Immerse yourself in a world unlike anything you've ever seen as you sail across a cast, unexplored ocean. Connect to a pal's Game Boy Advance and play cooperatively-get hints, uncover secrets, and get help in battle! Use new items like the Grappling Hook and Deku Leaf to take the fight to spectacular, massive bosses. Take on hordes of incredibly animated enemies as you search through riddle-filled dungeons. 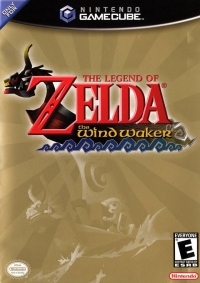 Master a magical conductor's baton known as the Wind Waker to control the wind and much more. 09-07-2011 scott Box Text An Evil Wind is Rising. Legend has it that whenever evil has appeared, a hero named Link has risen to defeat it. That legend continues on the surface of a great and mysterious sea as Link sets off on his most epic and awe-inspiring adventure yet. Aided by a magical conductor's baton called the Wind Waker, he will face unimaginable monsters, explore puzzling dungeons, and meet a cast of unforgettable characters as he searches for his kidnapped sister. 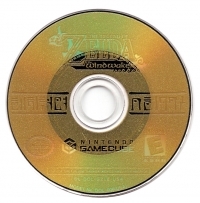 This is a list of VGCollect users who have Legend of Zelda, The: The Wind Waker in their Collection.